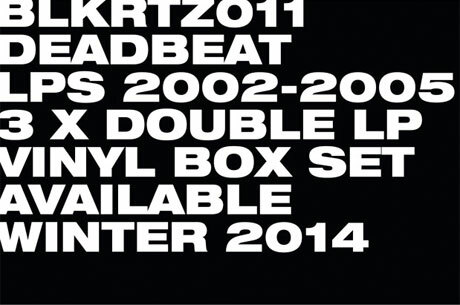 Dubby electronic explorer Scott Monteith is still going strong as Deadbeat, but the Canadian-born/Berlin-based producer is planning on revisiting his past for a vinyl box set containing three of his early albums. Over on Indiegogo, Monteith is aiming to raise 6,000 ($8,000 Canadian) to put out a six-LP set, FACT points out. Included are the albums Wild Life Documentaries (2002), Something Borrowed, Something Blue (2004) and New World Observer (2005). The records originally came out on Scape but have long been out of print. Monteith himself doesn't even own a copy. The campaign is aiming to raise half of the production costs to remaster and package these albums. The reissues will be more than simple repressings, since they have been expanded to include songs previously only included on CD versions of the album. On Indiegogo, fans can pre-order box sets, ideally due out this winter. Pay a little more and you can get a USB key including Deadbeat's entire catalogue, a remix of your choice, or even a live performance. Below, listen to a three-hour-plus SoundCloud stream containing all three albums. This will remain up for the month-long campaign.